Holiday season is officially here. 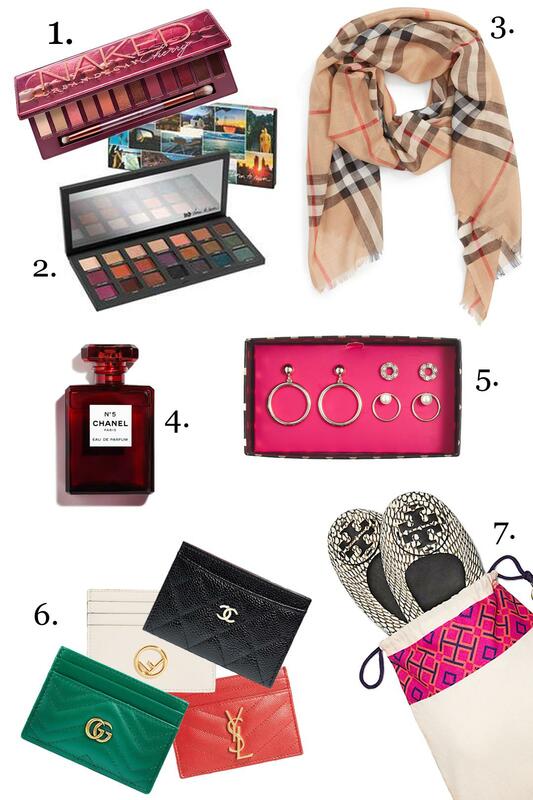 Today, I’m sharing my first holiday gift guide of the festive season. It features a combination of current favorite items and some items I have on my personal wish list. From the beauty palettes I’ve been using nonstop to super stylish essentials like scarves and cardholders, these gifts are sure to please. P.S. Be sure to enter to win a $100 J.Crew Factory gift card. Then, stay tuned for my Urban Decay giveaway. I’ll be giving away the ENTIRE Naked Cherry collection to one lucky winner.